Now I don’t know Mr. McKenzie, although I have no reason to think that he is not a real person. According to wonkette.com he is probably a self-published anti-Vatican II Catholic, and with luck his poem will prove to be a brilliant piss-take, both of Donald Trump and of the whole uncritical panegyric style of writing that now pervades Western journalism. Wonkette.com goes on to compare it to the Vogon poetry in Douglas Adams’ Hitchhikers Guide to the Galaxy. Vogon poetry requires listeners to be strapped in special poetry appreciation chairs, lest they escape, and its arrhythmic logical cataclysms produce extreme brain pains. I believe myself that the origins of Mr. McKenzie’s poem, based on Scottish tradition, lie in Scotland itself, in the form of the great William McGonagall. 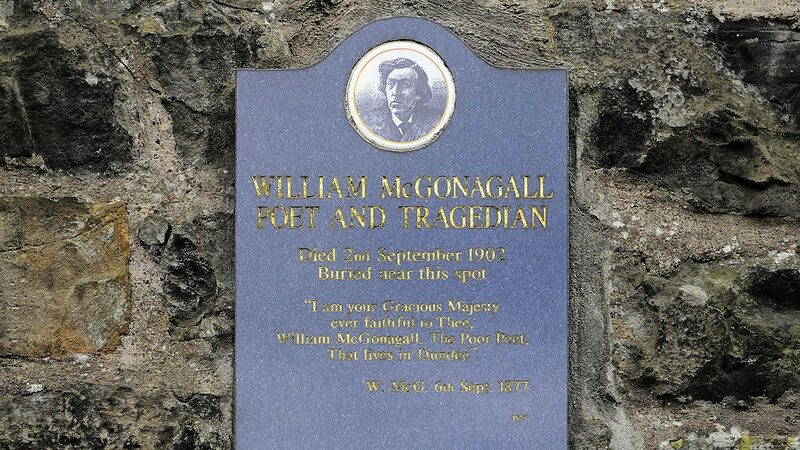 McGonagall was a Dundee street poet whose main concern was to make lines rhyme, and to hell with the scansion. His “poetry” became famous after he was discovered by Punch magazine and labelled the world’s worst poet, and became even more famous when Spike Milligan made a film about him (cf https://www.youtube.com/watch?v=Los8c8amIF8). Beat that, Mr. McKenzie. The descent into bathos is something that McKenzie has tried to achieve, but really failed to score. Must try harder. I may not be a Donald Trump, but while poets continue to write about me I, too, will dwell in Arcady.